The silver landscape was constructed out of aluminum foil rolls and scotch tape with help from some of the office’s employees. Transforming a two dimensional material into a three dimensional structure is surprising and fun, as aluminum is very malleable. 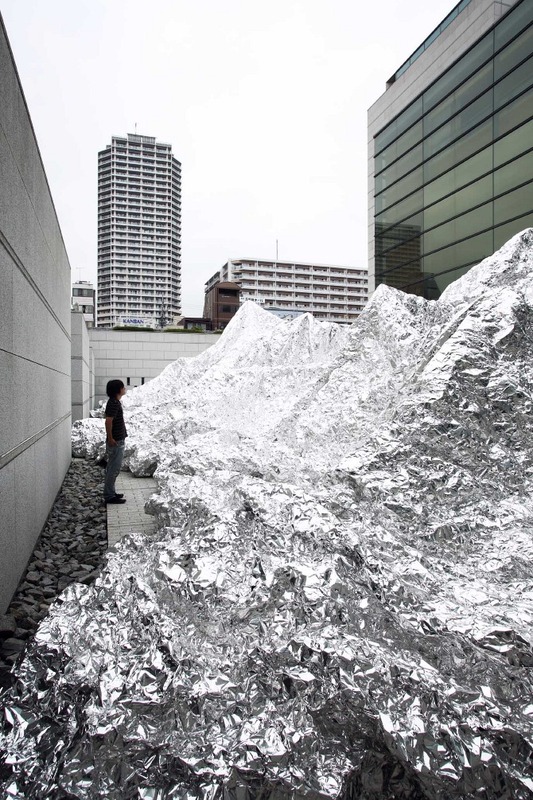 Beautiful yet strange during the day and mysterious by night, Kimihiko Okada’s towering foil mountains have probably already been re-purposed into something new.